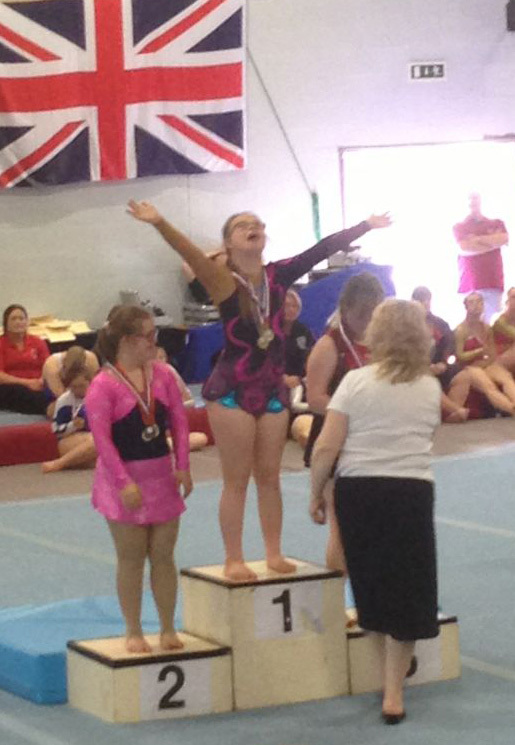 Sunday 8th July 2013 was the day of the Junior National Downs Syndrome Championships at New College, Leicester. 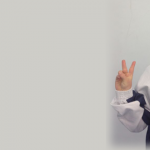 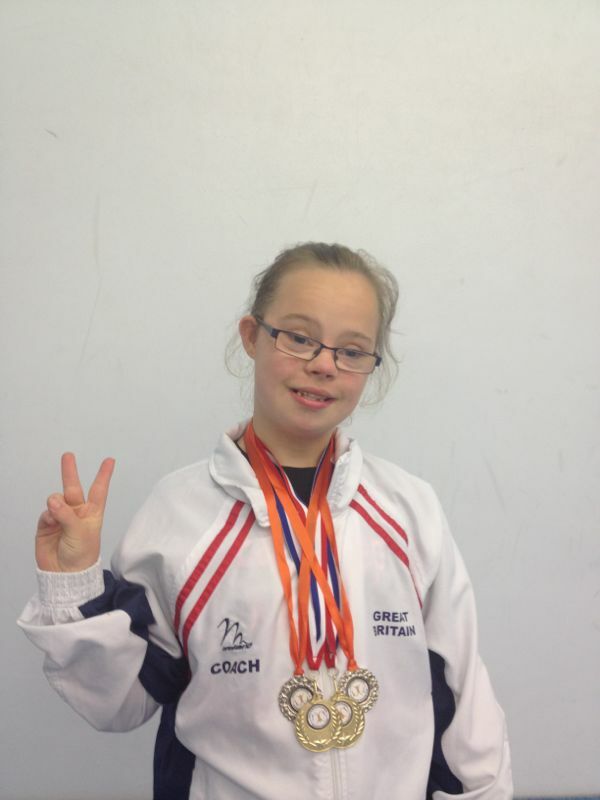 City of Birmingham Gymnast Zara Turton was triumphant as she picked up four Individual Apparatus titles, one for each apparatus which were golds for Hoop & Ribbon and silvers for Ball & Rope. 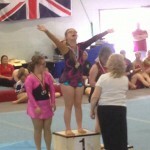 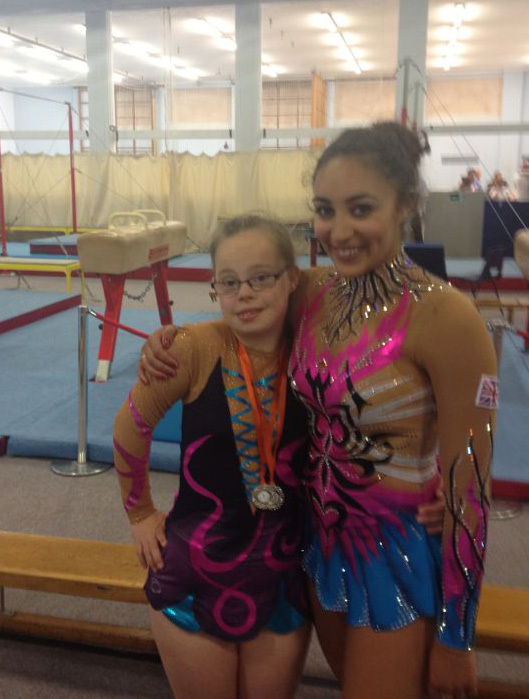 A great crowd of support was there for Zara as she competed and collected her medals. 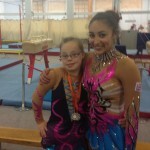 She was also pictured with her hero Mimi Cesar, GB International and club team-mate; Mimi also performed a display routine for the assembled gymnasts and audience at the end of the event. 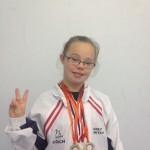 Well done Zara, well deserved wins!